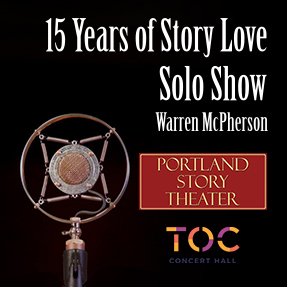 Warren McPherson is an audience favorite at Portland Story Theater and this is his first solo show. Warren manages the podcasts for Portland Story Theater. He conducts workshops in storytelling with Portland Story Theater throughout the Pacific Northwest. A charismatic performer, Warren's stories have an insightful charm. Relatable. Funny. Poignant.